The right thing is invariably defined by a cluster of factors such as our faith, upbringing and cultural background. We may or may not be aware of how these impact our decision making. But enough pontificating. In real life situations, how do we go about making ethical decisions? There are three kinds of models that keep coming up. They sometimes go by different names, but when we strip away the finer points of difference, we are left with three key categories. The first is that we decide on the basis of rules – usually rules that have stood the test of time and are undergirded by sound principles, although it may not be that lofty. You might simply follow a more selfish rule. If you are in business, for example, the rule could be ‘always make a profit – why else be in this game?’ But you could be more altruistically inclined, and so follow rules you believe are for the general good. So what are some examples of ethical rules that people follow. People often cite the 10 commandments, found in Exodus 20:1-17, as a classic example of this approach. Its instructions are clear: Don’t make idols, keep the Sabbath, don’t murder, don’t commit adultery, don’t steal, don’t covet and so on. Where it becomes a little murkier is when we try to define precisely what is meant by each of these rules. At what point does paying a low wage become theft from workers? Is insisting that an ‘illegal’ migrant return to their home country where death most probably awaits them, murder? Is advertising an invitation to violate the 10th commandment which instructs us not to covet our neighbours goods? If you are a serious rule follower, and believe that rules should always be stuck to, you can be said to favour a deontological approach to ethics. Not too surprisingly it comes from the Greek word deon – which means your duty or obligation. It is rule based because rules help us to define what our duty is. Once rules are decided, it is our duty to keep them, and to keep them without becoming overly distracted by the likely consequences of keeping them. 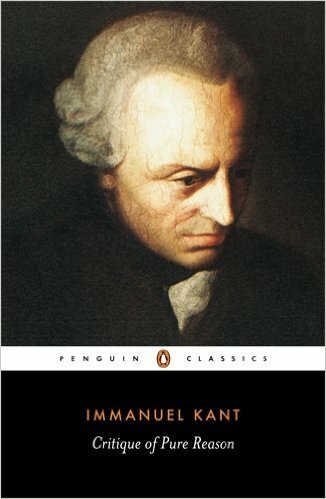 The historic champion of this approach was Immanuel Kant, who argued that the moral rightness of an act lies in our willingness to universalise the rule of action which generated it. Because people are not stepping stones towards another goal, we have to view each step in our moral journey as an end in itself. For example, if we lie to someone because we believe it will help us on a journey to “a noble end”, we forget that each step of the journey is an end in itself. What if everyone deceived everyone else while trying to accomplish some “noble end”? If we don’t like the picture of the world which would result from universalising the steps we have taken, the principle we are operating from is likely to be flawed. This approach, which goes by a variety of names and has many (many) subtle variations, insists that before we make any decision, we have to think about the likely consequences of our action. Sometimes known as consequentialism, it argues that the likely consequence of any action forms the basis for deciding if it is right or wrong. Ultimately an act is good if it produces a good outcome, or all’s well that ends well – or the ends justifies the means. It is here that it becomes so interesting – or perplexing. For how can we predict the likely outcome of an action? Life is full of surprises and unexpected results. 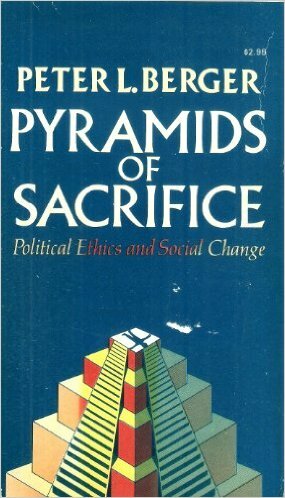 In his near classic work Pyramids of Sacrifice sociologist Peter Berger warns that when we plan social change we invariably overestimate the likely benefit of the change, and underestimate the cost. He speaks about the importance of working out both the calculus of meaning and the calculus of pain of any intended action. Before we proceed with any change we must be convinced that the calculus of meaning that arises from the change will outweigh the calculus of pain that invariably results from social change. And to restate Berger’s point, we should always proceed with caution, for history alerts us of our inclination to exaggerate the benefits of change and to underestimate the cost. While many Christians assume that the likely Christian default will be towards deontological ethics (as some say, it is the 10 commandments, not the 10 suggestions), the example of Jesus points in a different direction. Consider John 8:2-11, where Jesus interacts with the woman caught in adultery. From a deontological perspective, Leviticus 20:10 is clear. Adultery is to be punished by death. Surely Jesus will uphold the law. As you probably know, Jesus took another route. You could argue that he thought through the consequences of the proclamation he was about to make. If he said, ‘Stone her’ (as many in the crowd assumed he would), she would soon be dead and the crowd would leave feeling self righteous. If instead he said to those who had gathered, ‘Let any one of you without sin cast the first stone,’ and to the woman, ‘Go and sin no more,’ the likely outcome was that the crowd would leave having to ponder their own shortcomings, and the woman would find redemption. He found the latter outcome more desirable, and made his memorable pronouncements. Does that make Jesus a consequentialist? Not necessarily, but you have to be pretty short sighted not to notice that Jesus and the Pharisees had regular run ins over how rigidly the law needed to be applied. Clearly they interpreted the Sabbath laws very differently, and Jesus’ compassion for the individual was at times at the expense of a rule considered important by those in power. You could argue that the religious leaders were deontologists. It would be a lot harder to make that same case for Jesus. So should we all be consequentialists? Hmmm, not so sure about that. Earlier posts have pointed back to Bonhoeffer’s insight that only God ultimately knows the difference between good and evil, and that embarking upon ethics outside of relationship with God is fraught with danger. The truth is that no matter how hard we try to anticipate outcomes, we are often surprised. Unintended consequences are everywhere to be found – and some of them are devastating. A third response is to say that while rules are too rigid and consequences too unpredictable, the one thing that remains is virtue – and we are always called to act in accord with virtue. What we should do, therefore, is to cultivate both personal and corporate virtue. The value of this is that in real life we usually respond fairly spontaneously. At such times what lies within quickly bubbles to the surface, and when genuine virtue lies within, safe decisions usually result. Even when this is not the case, people of virtue are willing to review decisions and to make amends for faulty conclusions that have been reached. To be clear of the difference between these three approaches then, rather than look at ethical duties or rules as in deontological ethics, or at the consequences of particular actions (as in consequentialism) the focus in virtue ethics is neither rule nor outcome based, but is focused on the moral character of the actor. So what are the virtues? In itself, this is an enormous ethical debate. 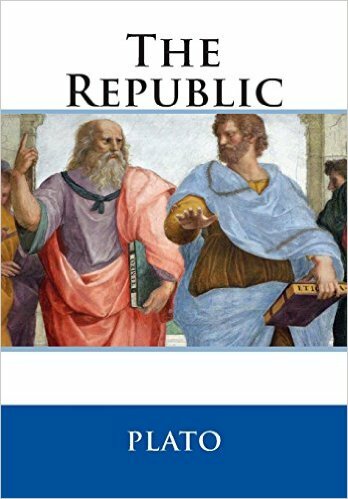 In Plato’s Republic he suggests that they are wisdom, justice, fortitude and temperance. Others have suggested love, courage, humility, tenacity, generosity, kindness, hope… well the list goes on and on. In 1Cor 13:13 Paul tells us that faith, hope and love will abide for ever. Could we therefore argue that these are the three key Pauline virtues? If you had to draw up a list, which virtues would feature on it? More tellingly, which virtues are you actively trying to cultivate? Of course virtue ethics cannot side step the problem that we can be sincerely wrong. People with the best of motives have sometimes made decisions which have had appalling consequences. And is the current appeal of virtue ethics its bias towards western individualism? Should the emphasis be on the creation of personal virtue or societal virtue? Is there a role for business to contemplate the virtues it will attempt to cultivate? Does it help to know about these different models? I like to think that each provides us with tools as we endeavour to live in accord with virtue. While deontological approaches are currently facing much criticism, don’t be too quick to knock them. Don’t be guilty of chronological snobbery. Approach the past with respect. Rules that have stood the test of time have much to teach us. Be slow to assume that you are the exception to rules that have helpfully guided generation after generation in the past. But equally, don’t feel that you are exempt from the ethical quest once you have cited one of those rules. The religious leaders of Jesus’ day made that mistake, and morphed into ethical midgets. And remember, the greatest ethical challenge is the one that lies within. While what I do matters, so does who I become. Cultivating virtue is the task I can pursue today. If I don’t, I am unlikely to stand when faced with any serious ethical temptation. And one more thing… if you are a Christian ethicist, your ethical reflection is never in isolation. Guided by Scripture, the tradition of the church, and the community of God’s people, you also have the rich resource of prayer and the guidance of God’s Spirit. God bless you as you endeavour to do the right thing.